It’s a great pleasure for us to see that you decided to participate in our survey. Through this specially prepared questionnaire we aim to get even closer to you. We wish to listen to your opinion and redefine our services based on your needs. 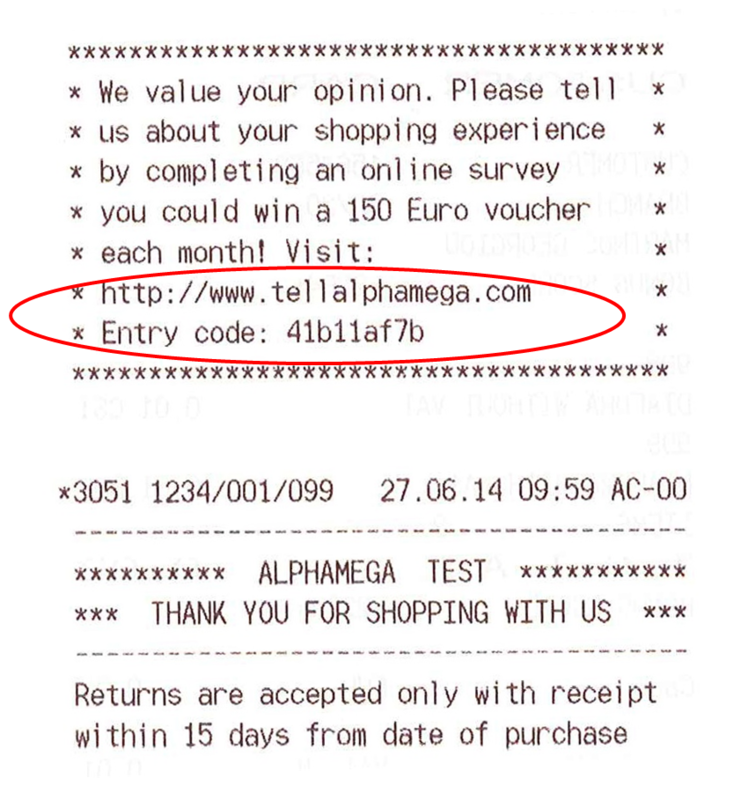 For your participation in this survey you directly take part in the monthly draw to win one of four €150 vouchers for shopping in our stores. You can now proceed with completing the questionnaire. Please be assured that any information you will share with us here will be handled in absolute discretion. Type the entry code from your receipt and click below. Please note that the entry code is valid for 7 days including the date issued.